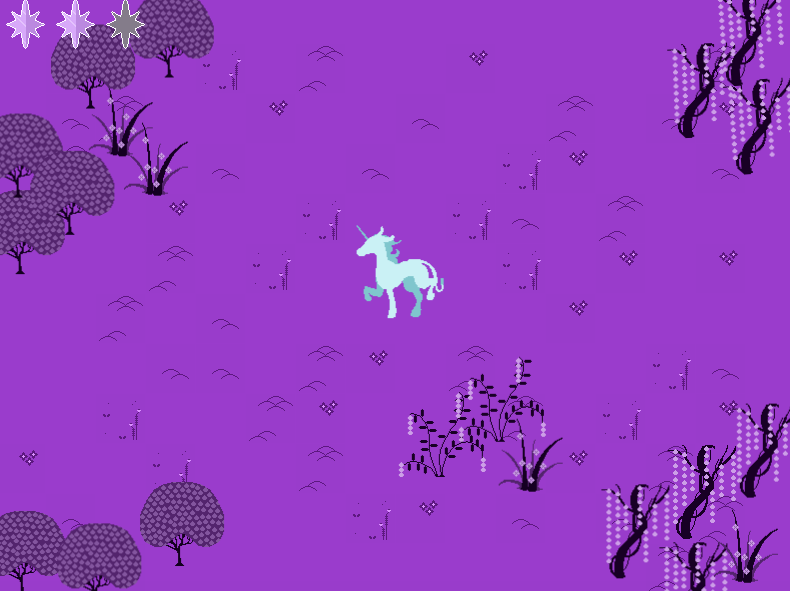 The challenge for the 2015 Philly Game Jam was to make a game based on a movie that had not had a game made for it yet. 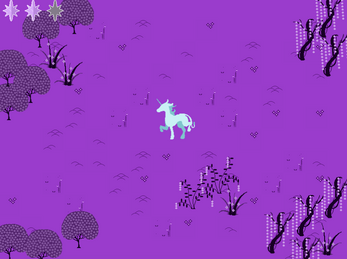 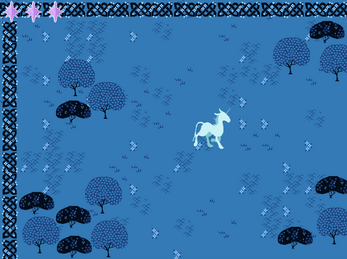 To our surprise, there has never been a game based on The Last Unicorn! 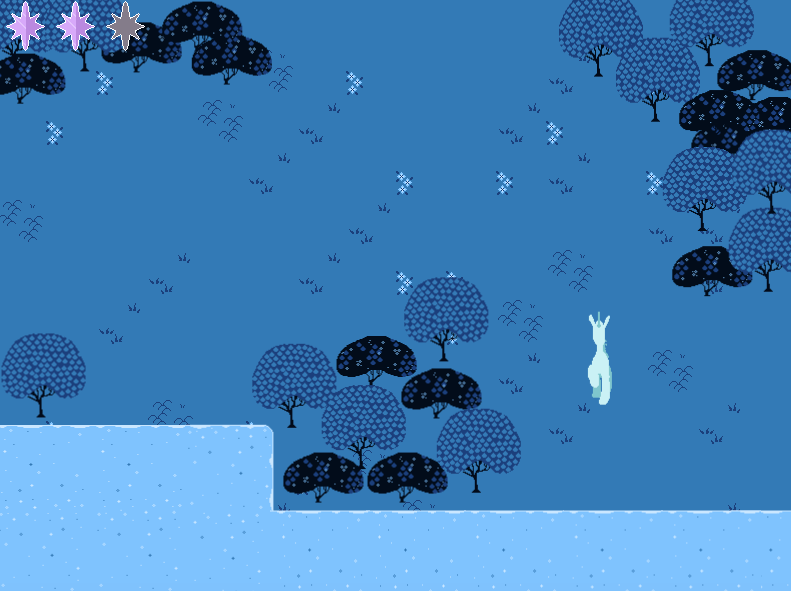 We set a goal of making a small Zelda-like 2D action game that loosely follows the plot of the film. 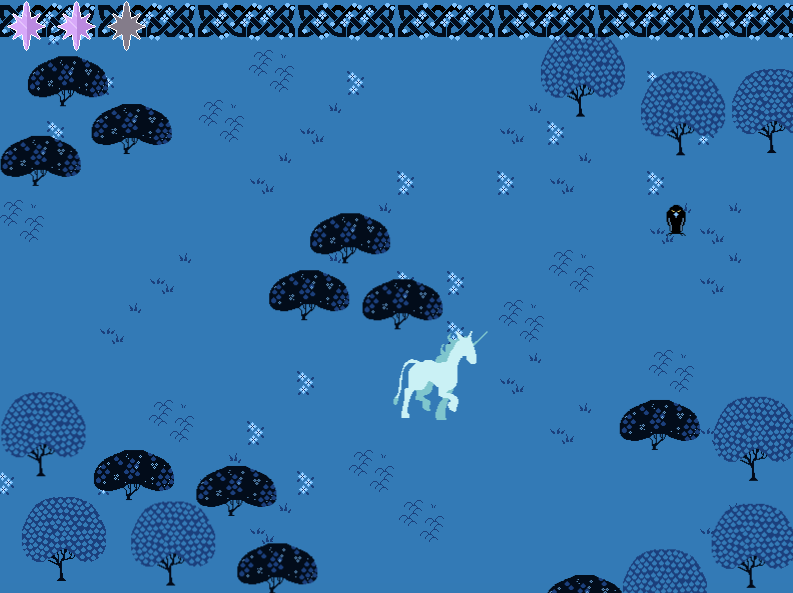 After 24 hours, the result was a prototype of such a game, consisting of one complete area, two screens of the first "dungeon", one enemy, and an animated unicorn sprite with one attack.